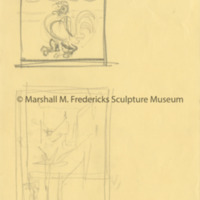 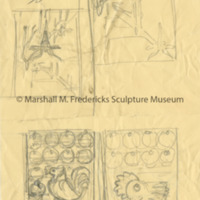 Sketches for relief with hens and rooster, possibly for 1939 National Products Competition. 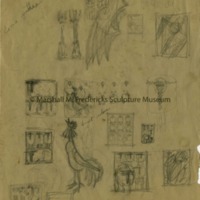 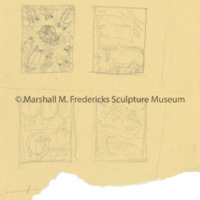 Sketch for relief with hens and rooster, possibly for 1939 National Products Competition. 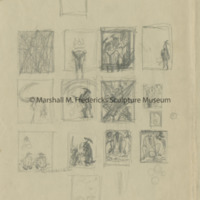 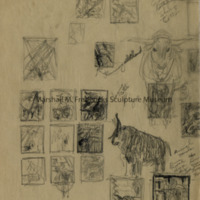 Sketches for "Colt and Pigs," "Steers," "Sheep (The Guests Have Arrived)," and "Cotton Pickers"